KoiAir™ Aeration Kits - Airmax® Inc.
Airmax® Aeration KoiAir™ Aeration Kits provide powerful aeration to even the largest water gardens and features. Designed as a complete aeration solution, the KoiAir™ contains everything you need to introduce aeration to large water gardens and features with a quick and simple installation. Running on as little as 17 watts, these whisper-quiet SilentAir™ aeration pumps are the heart and soul of our KoiAir™ aeration units. Costing virtually nothing to run, you can feel good about providing constant aeration to your pond. Our heavy-duty flexible airline is designed to sink the pond’s bottom even when filled with air. EasySet™ airline is extremely resistant to cuts, snags and kinks for maximum performance with minimal headaches. Each KoiAir™ diffuser plate utilizes a sturdy base plate and incorporates a 3/8” barbed inlet for quick hook-up to the included EasySet™ airline while providing threaded female outlets to accommodate 1 or 2 membrane diffuser sticks. 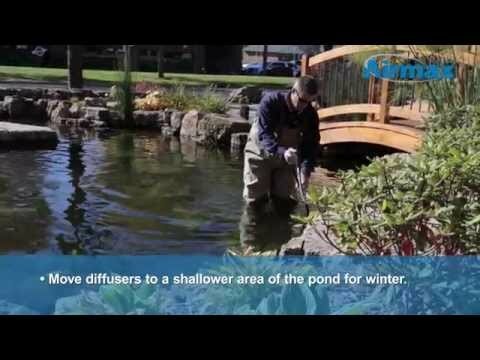 Learn why aeration is important to have in your water garden. 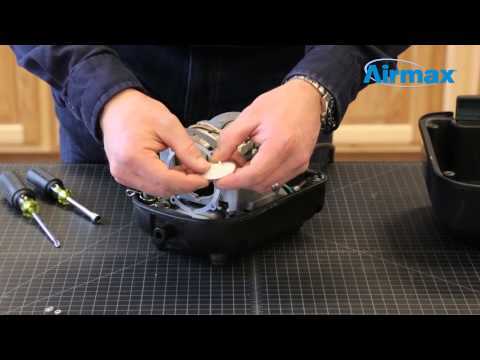 Click here for KoiAir™ KA20 Maintenance Kit Installation Instructions. 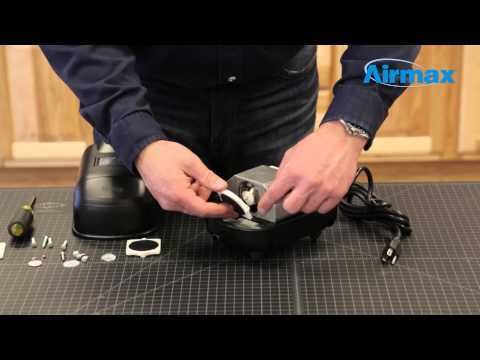 Click here for KoiAir™ KA40 Maintenance Kit Installation Instructions.